Share your opinion and take our next reader poll: Should autonomous cars be allowed to speed? Reader poll results: Earlier this month, when we asked people about your general thoughts on autonomous cars, we found that one of the main advantages of autonomous cars is that those who are not licensed to drive will be able to get to places more conveniently. This led us to wonder more about who should be able to drive an autonomous car. We asked three questions through Robohub to find out more. Here’s what you, dear readers, have said. Should a child under the legal driving age be allowed to ride driverless cars alone? Remember the first time your parents handed you their car keys, or took you out for your very first driving lesson? For some of us, that moment came with our parents beaming aloud expressions of uncertainty, anxiety, and worry. Some of this adult/parental psyche may be at play with this question. About half of the participants (52%) said that children under the legal driving age should not be able to ride driverless cars. This is not entirely surprising. Currently, under driving regulations, children under a certain age (typically late teen years) are not allowed to drive cars because we have reasons to believe that it is not entirely safe to let them drive. By allowing a child to ride autonomous cars alone, people may be concerned about scenarios where the car makes an error or requires the assistance of a human decision-maker during an emergency situation. Interestingly, 38% of the participants believe that children should be able to ride driverless cars alone and the other 10% also think that children should be able to drive autonomous cars with proven technology and specific training. This brings us to a fairly even split in opinion on the issue of children driving autonomous vehicles. The results may not mean that 48% of the participants would be comfortable putting a newborn baby in an autonomous car to be delivered to his/her grandparents’ house. But it could mean that with a proven technology and some training, the legal driving age could be lowered for ‘driving’ autonomous cars. It makes sense that a shift in driving age would depend on the capability and reliability of the technology. For example, if all cars today had a high probability of breaking down in the middle of the road, then our driver’s license exams may have included a preliminary car mechanics test. For now, it seems that people are more hesitant to put children in autonomous cars alone. It would be interesting to see if this will change as the technology drives out onto the road and demonstrates its safety and reliability. Should a senior who no longer has a legal driving license be allowed to ride driverless cars alone? Compared to the case of the underage drivers, it seems that the majority of the participants (67%) consider it acceptable to have a senior with no legal driver’s license ride an autonomous vehicle alone. 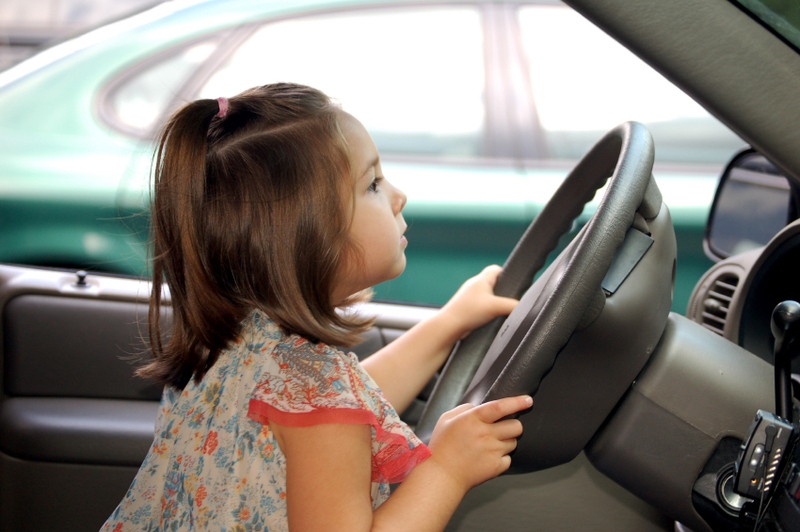 Perhaps our participants expect a senior who has had a driver’s license to be able to better handle any emergency or unexpected situations than children, since they have driving experience to rely on if necessary. However, it is possible that some of the seniors are without license due to low cognitive and/or physical capabilities. In such cases, the concerns over the rider being able to handle emergency/unexpected situations is not different from the above unlicensed child rider situation. This may be one of the reasons why 26% of the participants are not in support of unlicensed seniors riding the autonomous cars alone. However, similar to the responses to the first question, 7% of the participants thought that they would answer yes to this question only if there are limitations placed on where the senior would be allowed to ride the vehicle and whether they would have to pass some type of training to ride the vehicle. Should a legally blind person be allowed to ride driverless cars alone? Interestingly, the split of the votes for this question lies somewhere between the above two questions. 58% of the participants answered “yes” while 37% said “no” and the remaining 5% answered with a conditional “yes”. So why is a significant portion of the responses affirmative considering that being able to see is one of the most essential functions we rely on when we drive? Perhaps people expect the legally blind driver to be able to receive enough information and be able to make informed driving decisions to handle emergency or unexpected situations. It maybe that people are in support of the blind driver scenario because the benefits of driving outweigh the risks for legally blind persons, more so than for a child or a senior. Compared to the case of the underage driver, a legally blind person (assumed adult) is deemed to have better decision making abilities and able to take responsibilities, which are both important requirements for a driver besides being able to perceive the environment. Drawing a line on who should and should not be able to ride an autonomous vehicle seems to depend on a number of factors, and that doesn’t really include whether the individuals are legally licensed to drive under today’s regulations. Based on the results, the capability and reliability of the autonomous vehicles and the cognitive and physical ability of the rider are likely to change the way we allow different individuals to ‘drive’. One thing is for certain: regulations on who can drive will have to be reconsidered once autonomous vehicles start roaming the streets. The results of the survey presented in this post have been analyzed and written by AJung Moon, Camilla Bassani, Shalaleh Rismani and Fausto Ferreira at the Open Roboethics initiative.